Welcome to Harrogate People and Places. This is a site which will be looking at the people, buildings and events that have helped to develop Harrogate as we know it today ...... and here are some of those people. This site consists mainly of a collection of extracts from the Harrogate newspapers and many other sources. This is not really the place to be if you want a history lesson about Harrogate - This has been more than adequately done in several publications which can be easily obtained, but I am including large extracts about Harrogate and its waters from some of the books in my collection. You are welcome to use any of the material on this site for your own personal local/family history projects. An acknowledgement of its source would be appreciated. Also a link to this site would be nice. Any additions and/or corrections to the material are most welcome. I am keen to add a collection of personal recollections and potted family histories - If you wish to contribute to this then please contact me. As at 10th December 2005 only one person has done this ! 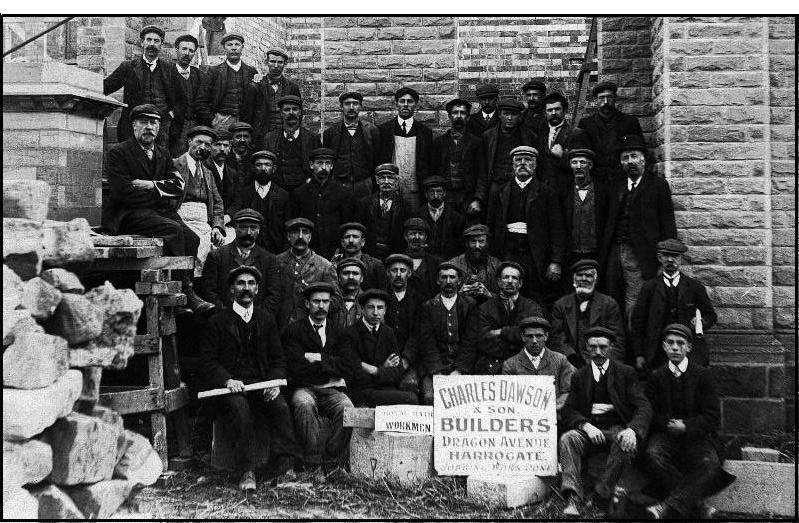 Initially there will only be material relating to people prior to 1900, but no earlier than 1704, and as the site builds up I will be adding additional material on buildings and events. If you do find family material on my site then please do tell me about it, for it will surely encourage me to continue adding new material. Finally - If there is anything you would like to see on this site then please contact me. Thank you for visiting and ... enjoy!